Home » Bookkeeping » What’s the difference between bookkeeping and accounting? The terms bookkeeping and accounting are often used interchangeably. You may have even made this mistake yourself. Because of this, it’s important to note there are some key differences between bookkeeping and accounting. While both are essential to your company’s finances, it’s important to understand their relationship, and how bookkeeping and accounting work together to ensure the success of your business. In order for your business to flourish, it is important to keep your financial records organized. However, this is much more than simply reconciling your accounts. Utilizing financial reports is essential as part of your business growth strategy or simply to gauge how your business is doing month to month or year to year. While bookkeeping focuses on the timely and accurate recording of transactions, accounting is all about interpreting the data created by those transactions. 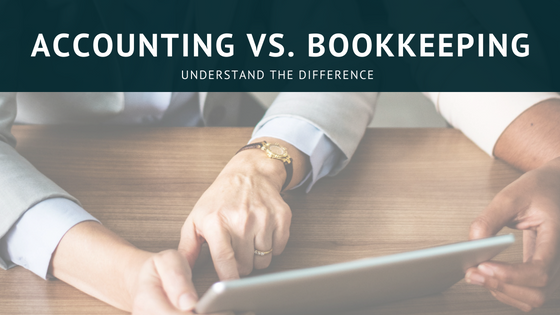 Let’s dig in a little deeper to understand the difference between bookkeeping and accounting and how understanding them both can help your business. Bookkeeping is the timely and accurate recording of financial transactions for your business. Keeping things organized and complete is the stressor here. Bookkeeping can be done daily, weekly or possibly monthly depending on the size of your business and how many transactions are happening on a daily basis. Thanks to modern technology, there is software that makes this task seem relatively easy. It’s not always that simple though and can sometimes require some sleuthing to match transactions. While larger companies might hire a bookkeeper on staff, it’s also good to outsource the daily/weekly financial tasks to a bookkeeper if you know that work isn’t on your radar. As a smaller company, you may handle all this yourself. However, this is where the problems arise. Keeping your bookkeeping complete is important because without your transactions organized, how will you ever run reports or see the health of your business. This is where the accounting side comes into play. Let’s explain accounting and then we can look further into their relationship. Accounting is the interpretation of the data provided by the bookkeeping. By keeping your company’s bookkeeping accurate and complete, you will be able to use that data for your business. By creating a financial roadmap for your business, accounting allows you to transform your bookkeeping records into an actionable and adaptable business plan. As you can see, accurate bookkeeping allows for proper accounting allowing a company to achieve success. The best way to ensure such success is by investing in trusted professionals to help keep accurate records. This can mean anything from hiring someone or an entire department to work within your company (typically seen in larger companies) to hiring a part-time bookkeeper to outsourcing the work to a CPA to doing all the work yourself or anything in between. While you may be able to outsource some or all of these tasks, make sure you understand your financial statements and how to act on the information they provide to allow for your company’s long-term success. If your company is small and just starting out, it’s still really important to know that all your financial records are accurate. After all, you will need to file taxes, measure growth and more. You can see it might be possible to stay on top of all this of yourself depending on how complicated your books and business are. However, if the thought of doing daily or weekly bookkeeping makes you cringe, then outsourcing this role often provides great flexibility and can be very affordable. Partner with someone who has the capacity to not only complete the bookkeeping tasks but also to interpret the results. Purposeful accounting starts with creating financial statements that tell the full story, no matter what that story might be used towards – budgeting, growth, acquisition, or an exit strategy. All these reports show the financial health of your business which is so important to understand. Without them how will you grow? How will know if your business is succeeding? How will you know if it’s time to add a new employee or how much money can you spend on that marketing campaign? If you utilize all the tools available between bookkeeping and accounting, you’ll have the items you need to successfully move your business forward. 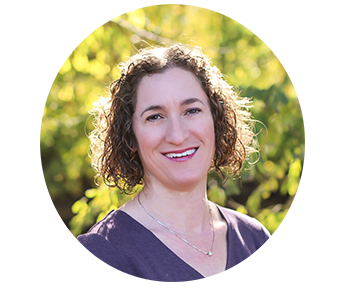 Now you can see why it’s important to hire a financial partner and not simply a bookkeeper. How can I help you understand your financials?